Baltimore Maryland is famous for its freshwater and saltwater fishing. 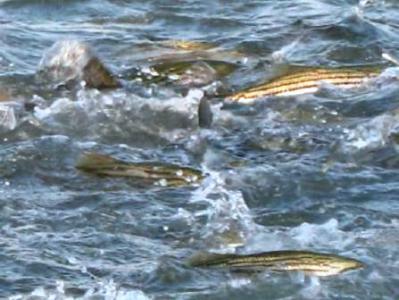 Just minutes from the Inner Harbor, is the Chesapeake Bay, where anglers fish for striped bass, white perch, croaker, spot, bluefish, flounder, and other species. Baltimore is the home port for a number of fishing charter boats, fishing guides, outfitters, and boat tours, and other attractions. Outdoor guides also offer kayaking trips, guided fly fishing, bird watching, nature tours, waterfowl hunting, and other outdoor activities. Baltimore is also famous for its seafood, including crabs, oysters, clams, and fish.